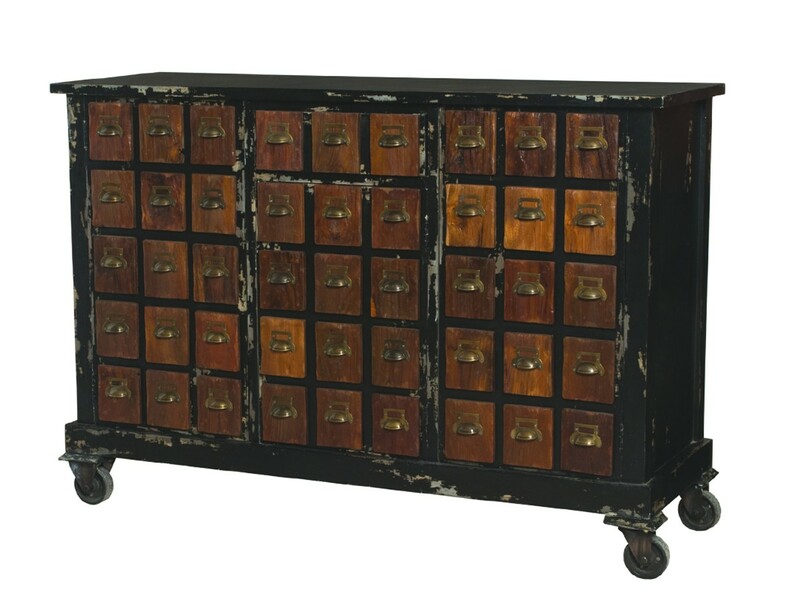 FAUX FRONT SIDEBOARD -Vintage Noir finish on rolling sideboard. Faux drawer fronts cover three doors and one drawer. Antiqued bin pull hardware.